Things got feisty early on in the GOP debate Thursday night, when Chris Christie attacked President Obama's State of the Union, blasting the speech as fictional "story time." Twitterers reacted immediately, with some of the best memes of the night. Even though President Obama addressed the nation just two days before the debate, Christie's "story time" jab was the first time that he publicly attacked Obama's speech. Christie appeared on Fox And Friends the day after the SOTU, saying that the speech is evidence that Obama lives in a "fantasy land." Christie's smear campaign against the president continued on stage in South Carolina, continuing the theme of disillusion. But not everyone was buying Christie's claims. Critics pointed to Obama’s impact on the nation and the various gains made through his 7-year administration, as well as Christie's close relationship with the president following the destruction of the New Jersey shoreline by Hurricane Sandy in 2012. 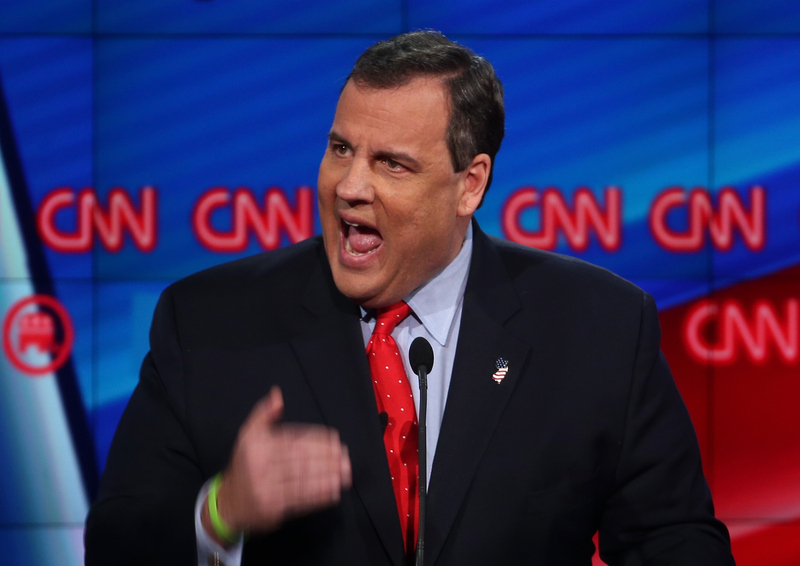 Although there was appreciation for the humor and effectiveness of the line, much of the Twitter commentary focused on tearing apart Christie's accusation. The State of the Union was viewed by many as a strong beginning to Obama's final year in office, and social media commenters were quick to defend Obama's performance. And of course, the reaction was also hilarious. Even though Christie's line was widely appreciated online, it looks like people would rather keep "story time with Barack Obama."